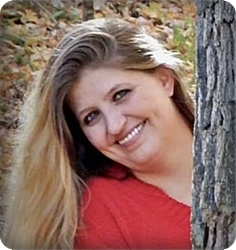 Theresa "Heffer" Dashner (Longdike), age 42, of Wyoming, entered her heavenly home on Thursday, December 27, 2018. Theresa loved her job in Human Resources at Roskam and her many friends and co-workers there. Her grandpa and grandma Longdike, grandpa Miller, and grandma Peterson, preceded her in death. She will be lovingly remembered by her children, Grace Lynn Dashner, and Hunter Joseph Dashner; her mother, Tammie Miller and Richard Schmidt; her father, Arthur Longdike; brothers and sisters, Arthur Longdike Jr., Richard Longdike, Maria (Mike) Edwards, Kaylix Longdike, Dia Graham, Tammy Lepley; nieces and nephews, Mercedes, Raymond, Theodore, Justin, and Logan; grandparents, Bud and Karen Lawson; many aunts, uncles, and cousins. The family will greet visitors on Sunday from 2 - 4 and 6 - 8 pm at Stroo Funeral Home (1095 68th St. SE), where the funeral service will be held on Monday, December 31, at 11 am with Pastor Byron Choyce officiating. Interment will take place in Saranac Cemetery. Memorial contributions in Theresa's memory may be made to Toys for Tots or a charity of your choice. My sincere condolences for the loss of your Mother/Daughter . There is a beautiful hope given in the bible at Jo 5:28,29 where God will remember our dead loved ones and will bring them back to life on earth. Ps 37:11,29. Soon God will wipe away all tears of sorrow and death and pain will be gone forever. Rev 21:3,4. May the God of all comfort be with your family. My heart, love and prayers are with you Tammie.